Hyundai is one of the world’s most popular and highly regarded automotive manufacturers. However, despite the company’s continued presence in the spotlight, there are still some facts about it that many people don’t know. Here, we present our list of 15 things you definitely didn’t know about Hyundai. Well, what are you waiting for? Check it out for yourself below! You might not assume that a company that manufactures cars would be associated with one of the world’s largest sports leagues, but this is indeed the case. It replaced General Motors as the NFL‘s official sponsor in 2015. The Tucson Fuel Cell is not only the first mass-produced fuel cell vehicle in the world, but it’s also the very first Crossover Utility Vehicle to offer the fuel cell technology. The car is impressive in that it performs with strength equal to that of an internal combustion engine but gives off emissions containing only heat and water. 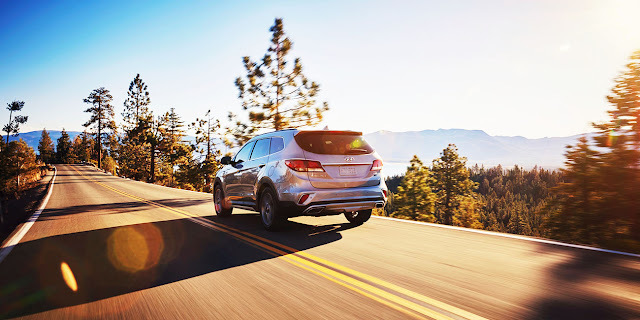 The company’s California Proving Grounds are exactly that – some grounds in California where Hyundai proves their vehicles’ worth. The company uses these grounds to make sure all of their vehicles can stand the test of time. Some car parts are left on the grounds for years to make sure they’re good enough! The company’s logo has one of the best hidden meanings of any brand. While the logo very clearly looks like the letter “H,” it’s also designed to symbolize two people shaking hands (like in a business deal). The company’s Ulsan production plant is special for a very particular reason. It’s capable of manufacturing over 1.5 million cars each year and is the world’s largest production plant of any manufacturer. You might think of Hyundai as a company that dominates the passenger car market, but it’s also involved in the manufacturing of commercial vehicles. The company manufactures all sorts of commercial vehicles, including vans, light trucks, and even construction vehicles. The brand has clearly been successful in many respects, but the most successful of all of those is its design. Consumer reports indicate that the company’s European customer base chooses the brand most frequently because of its vehicles’ design. It’s true! Many people think that all Hyundai cars are built overseas, but this is absolutely not the case. In fact, more than half of the cars the company sells in the United States are also made there. 6.) Their State-of-The-Art Manufacturing Facility Is Where? Montgomery, Alabama is home to one of the world’s most advanced vehicle manufacturing facilities – and it belongs to Hyundai. The facility is capable of taking raw material and transforming it into a street-legal vehicle in 19 hours flat. The company uses what they call Fluidic Sculpture to craft their vehicles. The idea behind this is to use nature to engineer their vehicles. Many of their vehicles follow the same patterns found in nature, such as the curl of a wave or the shape of a snow bank. You may not have heard of Hyundai’s Blue Drive Program, but it’s definitely a thing. As part of the program, the company has developed more sustainable energy-saving solutions than ever before, including an eco-driving system that has been proven to lower fuel consumption. Impressive! This has to be one of the coolest things the company has ever introduced. It offers something called Blue Link that allows owners of Hyundai cars (who have the service, of course) to do all sorts of cool things, including remotely turning on their car and heating it up! Turn your car on and get it warming up without leaving your house in the morning – a dream come true. Many people have spoken out against foreign car companies for the negative effects they have on the American economy. However, the same simply cannot be said of Hyundai. In 2011 alone, the company created nearly 100,000 jobs thanks to its facilities based in the United States. The company collaborated with the creators of hit television show The Walking Dead to create some Zombie Survival Machines, which are vehicles that can allegedly survive any sort of post-apocalyptic scenario (especially zombies).